This weekend has seen major celebrations in the UK, as the Queen’s 90th birthday has been celebrated. In this case we are talking about the ‘official’ birthday, as her actual 90th birthday was in April. 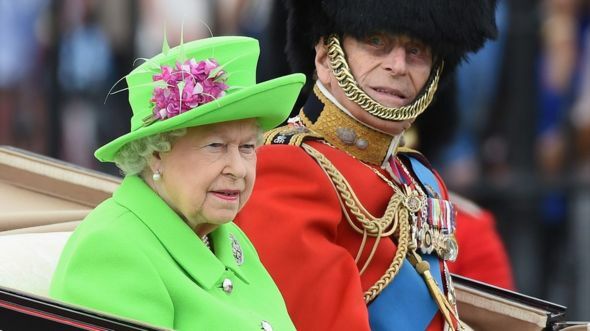 On Saturday the Queen wore a bold bright green coat and hat – the colour of a neon highlighter pen, which seems to have wowed everyone. The colour stood out strongly against the red of the uniforms of the soldiers on parade during the ceremony of trooping the colour. You can see the effect in the photo above. The shade of pink on the hat is also a perfect foil for the green. Fabulous!